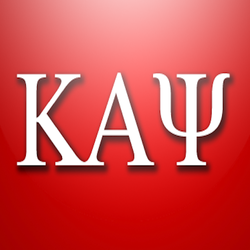 Kappa Alpha Psi was founded on the campus of Indiana University on January 5, 1911. The Fraternity's fundamental purpose is achievement. The Gamma Iota Chapter was chartered at ASU on July, 9, 1948 by six collegiate gentlemen and was the first fraternity in all student Greek life to be established at Arizona State University and in the state of Arizona.